because it captures life’s experience. Why should I care how others see my work? Maybe the only soul I should worry about being touched is mine. And because of that Jenna’s trainer quit on her, telling her she was on a suicide mission and he wanted no part of it. Until finally, Jenna got it. Everyone who truly cared for her was telling her it was time to quit riding the bull. And ever since that day, Jenna’s life wasn’t perfect, or even happily ever after, but she loved herself enough to treat herself right and quit the bull. Lord God, empower me to finish the works You have set before me, that I may finish for Your kingdom what you have purposed for me. Amen. Have you ever been humbled by the kindness of others? My mother-in-law – yes, the one who had a stroke a couple of months ago – has an ant problem in her apartment. She has had for quite some time. But with her cataracts and all, it never bothered her. She couldn’t see the little, crawling insects. In her defense, they are “ghost” ants! Now that she has a live-in home health aid whose vision allows her to see infinitesimal insects, I thought it was time for some pest control. So I called a pest control specialist I know. I thought $175 was a little steep for a 900+ square-foot apartment, but whatever. The ants and other creepy crawlies (I saw an outdoor beetle last night) need to be gone! “Yes, last night there was a cup on the table on the kitchen table, and sugar ants were crawling around it,” I told him. “Okay. I don’t see anything, but I’ll go ahead and treat it,” he said. About a half-hour later he called again. My imagination is so active it veers on the side of paranoia, so I was halfway expecting him to tell me my mother-in-law had gone berserk-o. Gimme a break, a woman who was born in 1937, just had a stroke, and might be on the verge of dementia sometimes does some, well, crazy stuff. I’m thinking: But you gotta eat! Instead I say, “Now you’re going to make me cry.” Which is true. Right away I think: What kind of gift card can I give him? Okay, God. I will give it to You. I don’t share this as a way of bragging. No, I was absolutely humbled. Floored. Yep, totally. Inadequate, but in, well of, Christ. Thank You, Lord, for Your kindness. For Your hands and feet, Your Church, on this fallen world. Postscript: It’s not about the “money, money, money,” but His kindness, love and forgiveness. Amen. At 16, Vanessa was a delicate hanky blowing in the wind, hoping to land on a park bench next to a successful young businessman who would proudly place her in his lapel pocket for all to see. Unfortunately, she landed dirty and ragged at the feet of an arrogant know-it-all who used her to blow his nose. More than just a one-time example, I want to write an entire story metaphorically. Women seem to struggle most with two things: choosing unsavory men who don’t treat them as they should and food. We turn to chocolate, donuts, ice cream to comfort our hurts and fill our souls. But stories about women who love men who don’t deserve them most likely outnumber, I don’t know, a lot of things. And does anybody really want a Pitch Perfect spinoff about how and why Patricia became Fat Amy. So what if the heroine of our story was a female bull rider and the Chris Brown – or chocolate brownies if we’re going with the second leading nemesis – in her life was a bull. Almost 20 years ago Jenna climbed onto the saddle of a bull, though she didn’t realize it at the time. The bovine she latched onto had been thoughtful and gentle, like the storybook Ferdinand, but over the years it became apparent that the snarling and stampeding famous on the streets of Pamplona was more his nature. Yet, she hung on – whether out of weakness or strength was debatable. I know nothing beyond 8 seconds of bull riding, but I am capable of research. Yet, would you read a novel about bull riding? I wouldn’t. And could I make the true intent of the story clear? To finish, you have to start. Today’s post isn’t a finished story, but questions that have been taking space in my thoughts for a while. Why do women stay in relationships with men who carry out evil? Eva Braun, Hitler’s mistress, for example. And Osama bin Laden’s fifth wife, Amal al-Sadah. What was their motivation? Or is it arrogant or naïve of me to ask such a question? I would like to know more, and even write, about these women. Yes, my Western perspective would muddy the telling – even the asking. Still, I wonder: Was the driving motivation fear? Or provision? Could it have been admiration? Love even? Were they aware of the evil? Or did their ideological viewpoints see these men as heroes? Strange, scary, and seemingly weird to think about. Do you know someone who has willingly stayed with a man who carried out evil? Or have you been that woman? Why? Late one Sunday afternoon at a bar in a small Midwest college town sits a man by himself. Sandy blond curls cover his head, and he sports a denim jacket left over from the ’80s. “A soda and vodka,” he replies. “You don’t have to say you’re a foreigner. Just ask the person to repeat themselves, ” she advises. “I speak a little Russian,” she tells him. The two introduce themselves and learn their names are the same – Valerie. Only his is the masculine. He’s a journalist on tour in the U.S., visiting universities with well-known journalism programs. Having studied Russian in high school, the Army and now college, she jumps at the chance to practice the language. He’s a patient tutor, gently correcting her when she makes a mistake. They soon learn they have more in common than their name. He also served in his country’s military, as a conscript though. The next few days they meet to practice English and Russian and to learn about each other’s countries. “You can smell freedom here,” he says. The day before he leaves, she takes the patches off one of her old camouflage tops and gives it to him. “My friends will never believe a woman soldier gave this to me. They’ll say I bought it at a military store,” he says. “The truth is stranger than fiction,” she tells him. This is one of my true stranger than fiction stories. What’s yours? I look in the mirror, and just below my chin I see something I don’t like. The once smooth, supple skin is gone. In its place sit deep, horizontal lines that cut my neck in thirds. When I gently pinch the skin here it stays in place even after my fingers no longer hold it together, revealing fine, tiny lines. In my head I’m at times a 12-year-old, jumping on the bed trying to engage my friends in a pillow fight. Or 22, still traipsing across a university campus excited about my future that lies ahead. OK. Maybe even 30ish. A little wiser on the cusp of my fourth decade of life. But in reality, I’m past middle age. Still, I don’t like these wrinkles on my neck. Not one bit. Eventually, the youthful voice relents, accepting the truth. I’m getting older. No matter how I young I might feel and even act, this body is aging. Ugh! Until one day, my sister-in-law and I sit with a rep from a home healthcare agency looking for a way for my mother-in-law, who recently had a stroke, to stay in her home. “Tell me about her,” says the rep.
“She’s very easy to get along with,” my sister-in-law claims. I haven’t always felt that way. When my kids were little, I was annoyed by her parenting suggestions. And there have been plenty of things we didn’t see eye-to-eye on and power struggles around holidays as we executed family celebrations. Over the past 15 years we’ve each lived in three different homes. My kitchens have always been larger than hers. Yet somehow, her kitchen is always big enough for the two of us and mine isn’t. Hmm, I wonder what that could mean? 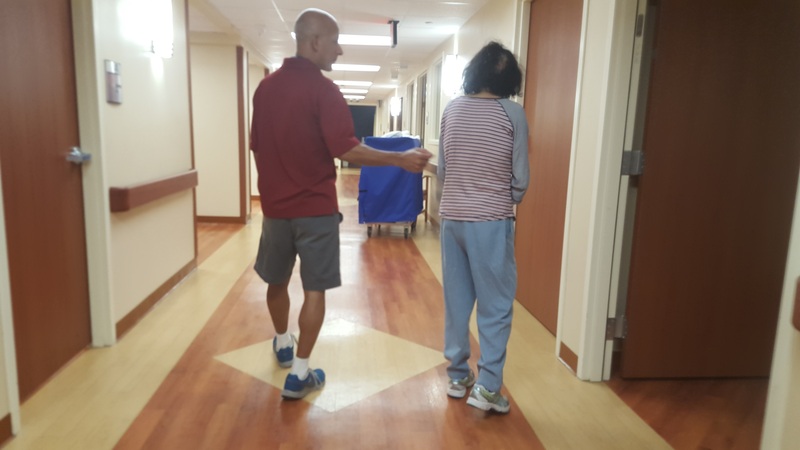 In the last few years as I’ve gone with her to doctor appointments and experienced her unconditional love – for her son, grandchildren and me – the annoyance and power struggles have subsided. The differences in opinion have been opportunities for growth. 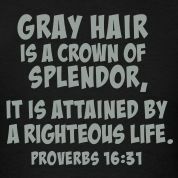 While I disdain the aged look on my neck – not to mention my crow’s feet and gray hair I vainly cover with highlights, lowlights and touch-ups every six weeks – it’s more than just a representation of how many years I accumulated in this life. A stereotypically sour relationship has grown sweet. Filled with love and mutual respect. And those babies I was once insecure about mothering are finding their passions and excelling as high school and middle school students. True, I’m plumper and saggier than I’d like. But with each wrinkle and gray hair, growth, maturity and accomplishment have come. Instead of fighting the cycle of life, I can embrace it! Mom lives alone. She won’t answer. Get extra key. Open the door. She’s on bed. She can’t talk. She can’t move. I can’t panic. Have to act. Hospital is close. Carry mom downstairs. Drive her there. Faster than 9-1-1. At ER now. Nurses take her. I am waiting. “She had stroke.” Doctor tells me. “How long ago?” he asks me. ICU one week. Telemetry the next. Rehab week 3. She’s better now. She can walk. She can talk. “You keep her.” They tell me. How can I? I have family. I work full-time. Who will help? Have no choice. She’s my mom. I love her. Want to help. Don’t know how. “It will work. We can help.” My wife says. “How, how, how?” I ask her. “I don’t know. We will help. It will work. What families do.” She tells me. I start a lot of things. Stories, blogs, businesses. Sometimes in real life – pen to paper, fingertips to keyboard – but mostly in my head. Some might say it’s a lack of discipline that keeps me from finishing. I agree. It’s also fear. Not a fear of failure, but a paralyzing panic because I don’t know how to do whatever it is that started as an idea in my gray matter. Crazy that a lack of knowledge impedes my progress in this digital age where Google has an answer for everything and you can learn how to tango, crochet or make soufflé on YouTube. But it does. So I bit the bullet and took an Improv Writing class over the summer. Learned some principles of story crafting and was forced to employ them RIGHT NOW (hence, improv). Never finished a story in that class. But I learned that much of my failure to finish the myriad story beginnings wandering around in my head was because I didn’t know how to finish. Thanks to story spine, I now have tools to finish. Last year I found out about 31 Days on day 5. I started – well, kind of (more about that another day) – but never finished. This year, I learned that many 31 Day writers begin and finish before October even arrives. Oh, so that’s how they do it? Well, not me. I started working on my 31 Days at the beginning of September but didn’t finish. Hmmm, imagine that. So as the days of September passed by, I started thinking that I wasn’t going to follow through on the challenge. Then it hit me – Just because one way to do the challenge is to finish writing before October begins doesn’t mean I have to throw in the towel because I didn’t do it that way. So here it is October 2, 2015, and I’m doing my first post now. Oh well. Here goes. 30 Days of Finishing. Stories, ideas, projects, poems (maybe, because at this writing I really don’t know how to write a poem) – whatever starts in my head. Going to finish.